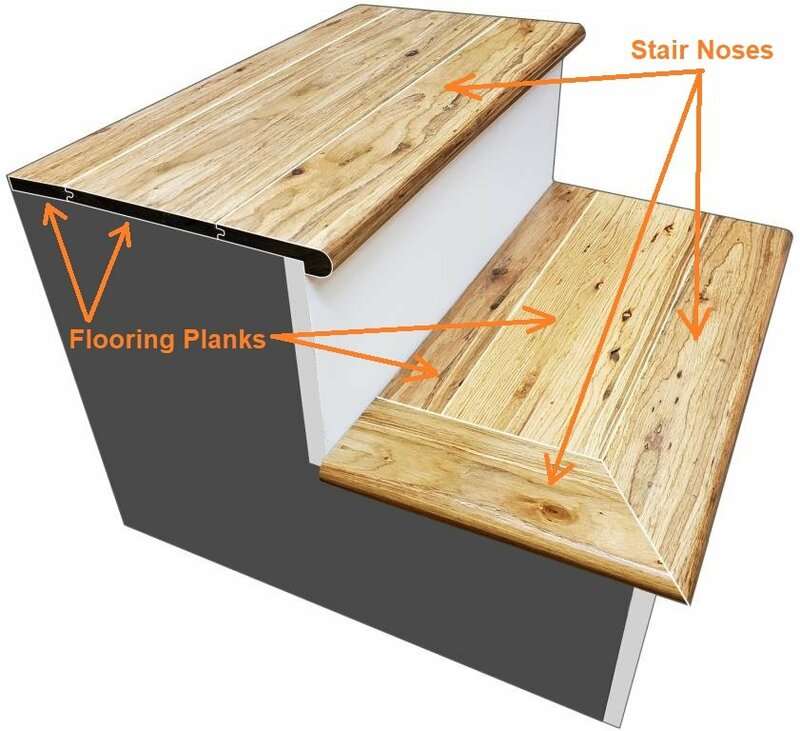 Bamboo stair noses, also known as bull nose or bull nosing, are used to transition from floor to a staircase, on staircase landings or on step downs. 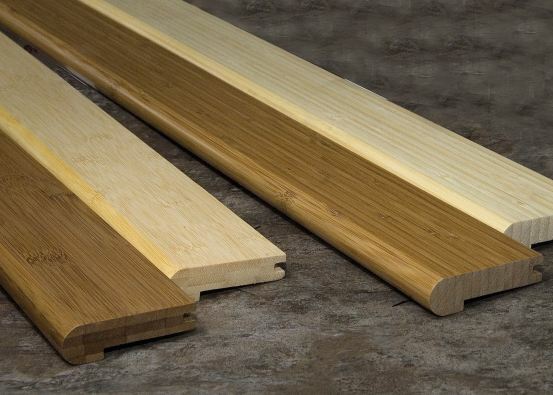 Available in a wide variety of color and finish options, bamboo stair noses provide for an elegant and seamless transition from one area of the house to another. 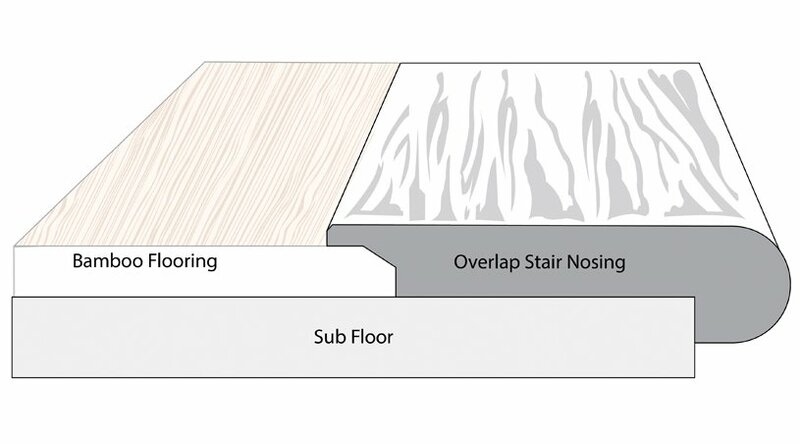 Our bamboo stair nosing is available in dozens of combinations of stains and colors to match your existing flooring or a new installation of Ambient Bamboo Flooring. Strand-woven bamboo noses are our premium product. Strand-weaving produces an extremely dense wood three times as hard as oak. Check out our photo gallery or contact us for free samples to help choose the color that's right for you - we'll even cover the cost of shipping of the free flooring samples! 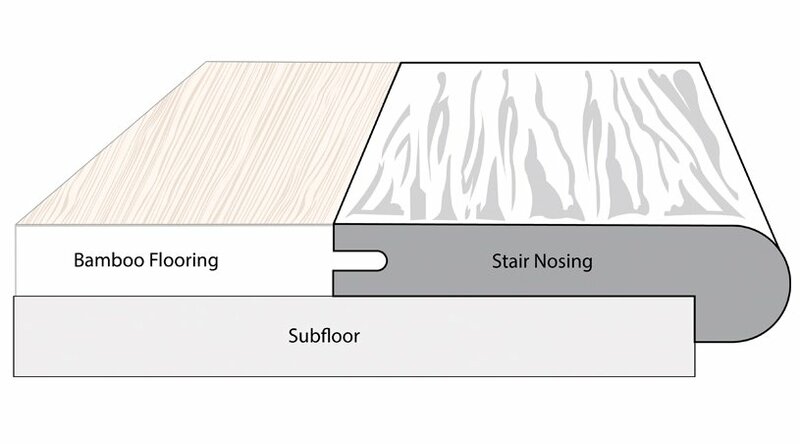 Simple to install and maintain, bamboo bull nosing from Ambient Bamboo Floors is ideal for do-it-your-selfers. No special tools are required - simply glue the molding in place using a non-water-or-latex-based adhesive and weight it down to ensure a solid bond while the glue sets. You can also nail the molding into place, though because of their increased density, we recommend either pre-drilling and screwing it down, or using a nail gun capable of shooting micro-thin nails. While your bamboo stair trim is sure to take a lot of abuse, keeping it clean is a snap! As you would with regular hardwood flooring, clean up spills quickly and never leave standing water on the floor. With just a few precautions, your bamboo stair nosing is sure to give you years of trouble-free use.